For the safety of our new home, I installed solar lights to illumine the driveway and entry into our cabin. The new lights have a battery that is charged by the rays of the sun during the day and when darkness begins to creep up the mountain, a photocell sends current to the bright LED and it produces light. Now after several months we have noticed that some of the lights do not last all night and occasionally they all are dark in the wee hours of the morning. I have found several reasons for the differences. A few lights are shaded part of the day, a few lights have inferior batteries and then one or two of the lights are probably lacking in their circuitry. And then if sunshine is sparse one day, the solar collector is incapable of recharging the battery fully which reduces the number of hours of illumination we will see that night. 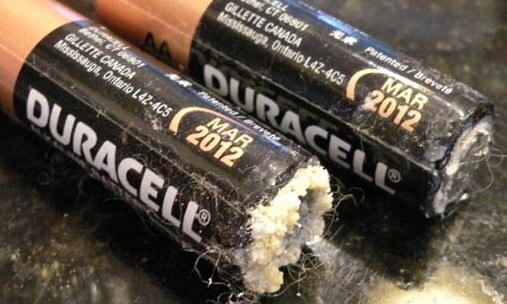 We humans also have batteries. Not the kind that catch fire on airplanes but we definitely have a power grid that energizes our mind, body and soul. We need food and water to regulate our body temperature and produce energy and much needed nutrients to sustain our bodily temple. Our mind, body and soul also need exposure to light. Now our human batteries can only be fully charged when we bathe in the Son, Jesus. Just like those solar lights enlightening my path to safety, sometimes our light burns brightly into the darkness and yet other times the darkness lasts much longer than out light. If we spend our time trying to recharge our batteries by the artificial light of our widescreen TVs, laptops and smart phones, our human battery will not realize a full charge. There are way too many shadows found in those man-made artificial light sources and a host full of demons waiting to befriend you and take you farther away from the pure source of energy, and allowing our batteries to leak and lose their charge. The circuitry of our mind needs to be rewired because time is precious and for our salvation we must seek to be fully recharged in the light of Christ, bathing in Christ-like love with each person we meet. The selfless love we share recharges the batteries of others. And we can only become more like Christ if we seek Him more than we seek the world and its’ darkness! Here in the season of Epiphany, the Uncreated energy enlightened the world with the voice out of the heavens, saying, “This is My Son, the Beloved, in Whom I am well pleased”. The Holy Spirit descends upon Him in the form of a dove. The Father, Son and the Holy Spirit made themselves known. The Light of the world covered Himself in the dark waters of the Jordan liberating us all from the shadows of sin by purifying our souls as we are baptized. St. Basil the Great affirms that the blessing of water came to us as a “mystical tradition” and that the water, through the prayer and blessing of the priest, receives a “quickening power of the Holy Spirit.” Through this heavenly power the water we bless at Theophany receives the power to bless those who drink from it or are sprinkled with it and the water lasts for years without corruption. We mystically enter into the waters of the Jordan here at Theophany and we sing: “as many as were baptized in Christ have put on Christ”. May the great Creator reshape and recharge your leaking batteries into a brilliant source of energy overcoming the shadows and illuminating the world.